I’m going to preface this review with a personal experience I had recently. Hanging out the other day with an old friend of over twenty years, also a musician, the first band he named when asked what he currently digs was UNCLE ACID & THE DEADBEATS, and without hesitation. That was the moment I realized that I’d already acquired the album that had not listened to it so when I arrived home, the first thing I did was listen to “Wasteland”. Afterward, I let my friend know he was right about this band and then proceeded to propagate my friends with Metal tidings bidding them listen to this band at once. 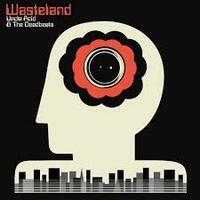 “Wasteland” is the band’s fifth studio album since forming around nine years ago. Theirs is the sound I would describe a s being a Psychedelic version of Proto Metal. It is a huge sound with loud, raucous guitar, organs, and vocals that walk the line between John Lennon’s style with the vibe/delivery of Jim Morrison. The important thing to maintain here, though, is that the band does not come across as retro or vintage, but rather genuine. The first track, “I See Through You,” immediately forms a clear mission statement for the coming album. It is hard not to get sucked into the band’s signature funky late 60s, early 70s-influenced style. The album truly gets going, though, on the second track, “Shockwave City”. One is taken away to a time when riffs, like cars, were bigger and beefier with more muscle. The sing-song effect of the lead guitar is fully realized via well-executed runs adorned with Psychedelic haze. This is Psychedelic music steeped in tradition that is forward-looking, committing all resources to the shared venture of song writing. There are many times in the album when one is jolted with something new. This is displayed by the initial reaction I had when listening to "Blood Runner,” the fourth track. There is an almost IRON MAIDEN-like NWOBHM style as there is a driving beat, galloping bass, and massive guitar harmonies. Of course, Kevn R. Starrs sounds nothing like any vocalist of IRON MAIDEN. Every direction the band takes compliments its strengths. Perhaps this is another way in which Starrs proves that the band in total is truly Uncle Acid’s identity. “Exodus,” the final track, begins with some syrupy organ sounds. The verse riff has a solid groove enhanced by a hypnotic bass guitar and some delightfully nasty guitar chords. A second shy of seven minutes, the song becomes almost like a dirge and is thus, the perfect ending. Like any trip, listening to “Wasteland” is a personal journey. I will attest to it being an absorbing experience enhancing one’s imagination. This band know that there is a singular sound representative of the deepest roots of their musicianship. At no time does one instrument dominate any other as the band coordinate everything for the good of the whole. There are very few bands that can truly pull off a sound that is so deeply cerebral. I cannot help but wonder how many folks used the band as the soundtrack to their first trip. True art ultimately makes someone feel. While that will certainly vary from person to person, this band’s music demands a reaction. There are many bands that could be rattled off that sound as if they had a hand in influencing UNCLE ACID & THE DEADBEATS, but that is simply not the point. The band have managed to outdo those who simply regurgitate riffs that have been done before for they have taken influence and synthesized their knowledge into this project. There simply aren’t many bands that operate at this level. If you have ever wondered what a more decadent if not wicked Psychedelic era would sound like, this is an offering of interest. In fact, this is one of the absolute best albums to come out this year. “Wasteland” is sure to bring new fans into the fold as well as console those jaded by what has happened to music.